"HyperDrive Storage Router acts as the intermediary between all of these different protocols, finally allowing businesses to leverage Ceph as their unified storage solution. As you can imagine, this massively reduces the complications, delays, and costs that administrators have had to deal with in the past" says Tim Massey, SoftIron's CEO. 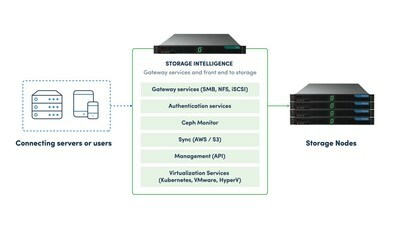 "It unlocks the exponential potential of Ceph and SDS and allows the entire enterprise to benefit from this technology, regardless of the end user."